I went into Sobey's with the intention of grabbing a box of oranges (because 'tis the season) but when I saw the display of Chinese and Japanese imports, I spent a solid five minutes immobilized, trying to decide which to buy. $8.99 for the box of Japanese, $5.99 for the slightly bigger box of Chinese... could those three bucks buy more deliciousness? It was only when my husband told me to snap out of it and get the cheaper ones because they'd be just as good that I decided a taste test was in order. "That's fifteen dollars worth of oranges," he said without a hint of interest in the experiment. Buuuuut I'm nine months pregnant so, here we are. My parents were coming over so I informed them that they'd be eating two oranges each to which they said they could just eat a couple sections and still make an informed decision. Huh, I realized, that's true! No need to waste my fifteen dollars of oranges! 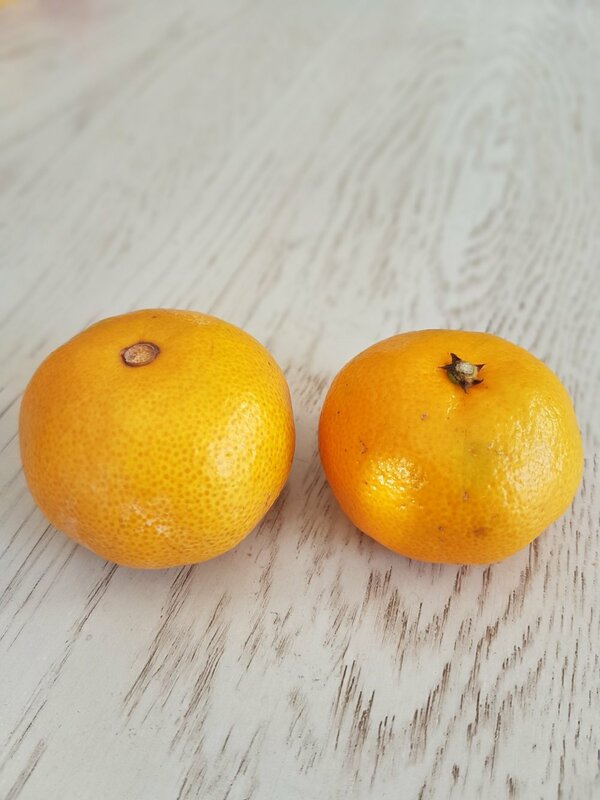 So, out of sight, I unwrapped and unpeeled a couple of Japanese oranges and put them on one plate and did the same with a couple Chinese imports, too. Then, I served them eagerly. Everyone tried the Chinese mandarins first and agreed that they were delicious. Then, the Japanese. "This is definitely sweeter," said my mom. My husband agreed (as did I, though I didn't say anything as not to bias the result). They each took another section of Chinese orange and... said that after experiencing the second, the first wasn't as good. BY FAR. What a coup! 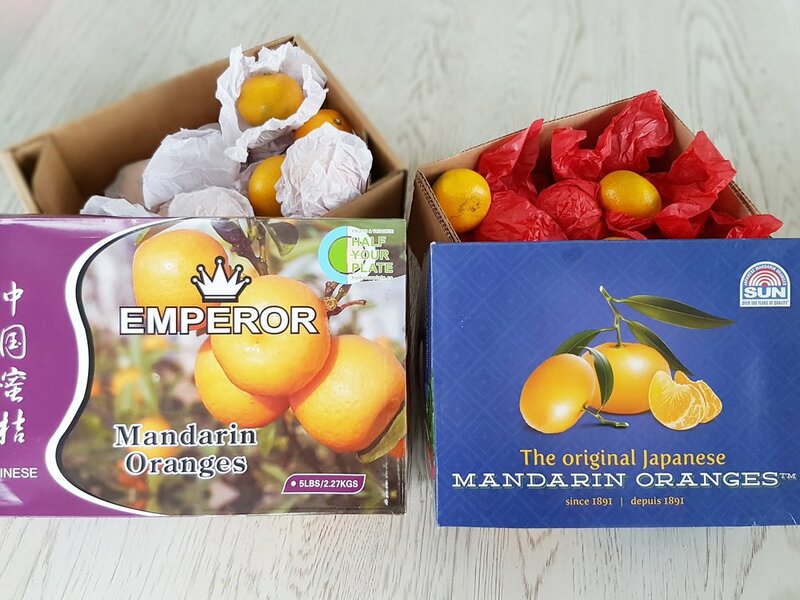 The Japanese mandarins won by a landslide! The thrill of the victory definitely deserves this many exclamation marks! *Chinese mandarin is on the left, Japanese is on the right. Where Have All the Japanese Oranges Gone?